The head eye-catcher and owner of Visual Lure. And yes, it is Justen with an “e”, NOT Justin with an “i”. 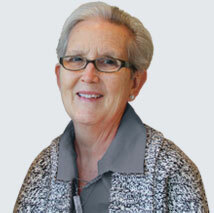 He is also the Website & Interactive Chair for AIGA Saint Louis. It all started with crayons, building blocks, Legos and a mother who nurtured her son’s artistic side. As a child, Justen would build cities out of blocks that would cover the entire living room floor, draw the stain glass windows in church, and spend hours building objects from Legos. His mother always encouraged his creative side and constantly enrolled him in art classes after school and in the summers. Justen’s first paying job, while still in junior high, was painting a Harley-Davidson logo that was cut out of a piece of metal. By the time he was in high school, he was sketching ad layouts for a small Chicago area advertising firm. Justen attended Eastern Illinois University and received his graphic design/printmaking degree from Southern Illinois University in Edwardsville. While at SIUE, Justen was on the Dean’s List and was awarded the Honors Convocation Award and the Friends of Art Honors Award in Studio Arts. Today, Justen Hong is an internationally published logo, graphic and web designer located in the St. Louis, Missouri area. He has more than 20 years of experience (close to 30 if you include the Harley sign), and mostly works with small to mid-sized companies. However, he has produced artwork for the likes of the Sears, American Cancer Society, the American Lung Association, Sally Beauty, Ralston Purina and Anheuser Busch. His work can be seen in publications like Logo Talks II, The Big Book of Packaging and in over half a dozen LogoLounge books. 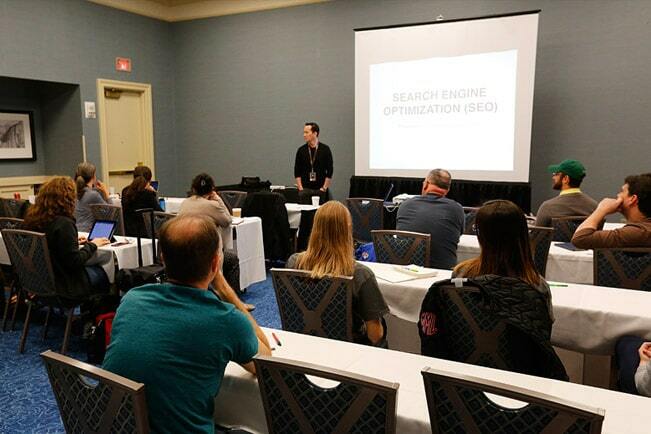 Justen teaching a search engine optimization class at Shutterfest. Justen is also a featured writer for Shutter Magazine where he writes articles about logo design, branding, web design and search engine optimization (SEO). Shutter Magazine is now currently available nationwide at all Barnes and Noble locations. In addition to writing for the magazine, Justen is a reoccurring speaker at St. Louis, Missouri’s very own Shutterfest, one of the best professional photography conferences in the country. Justen loves anything design related, including: art, architecture, movies, interior design and photography. He also enjoys good food and loves to travel. Justen currently lives in Caseyville, IL where O’Fallon, Collinsville and Fairview Heights intersect, just minutes away from the St. Louis Gateway Arch. He is a member of the O’Fallon Illinois Chamber of Commerce and the St. Louis AIGA where he serves as the Website & Interactive Chair. 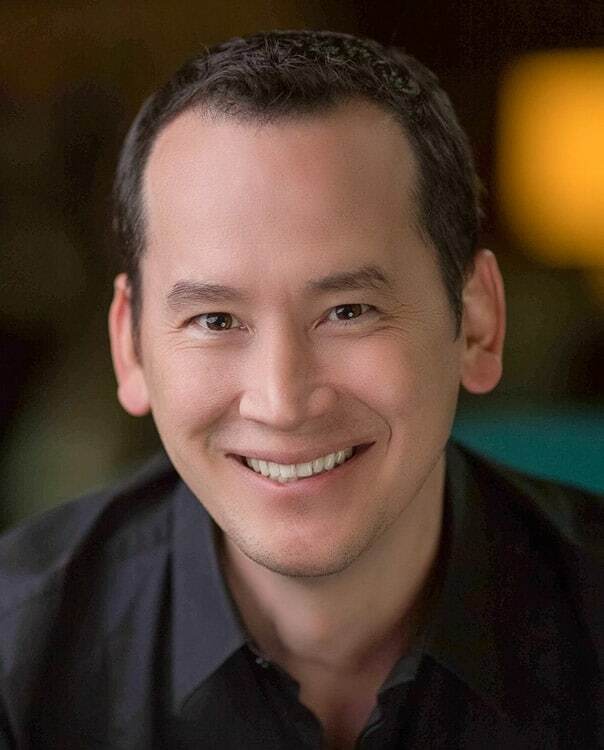 His wife Nicole Holland-Hong, CFP®, CLU®, ChFC®, CASL® is a Certified Financial Planner and one of the top female financial advisors in the country. Justen and Nicole are very involved with fundraising for Cardinal Glennon Children’s Hospital as Nicole is on their Board of Governors. Justen also donates some of his time as webmaster to Fontebella Maternity Home (a St. Louis Metro East maternity shelter) and Circle Of Concern Food Pantry (a non-for-profit that helps feed the hungry in St. Louis). Click here to learn more about how Visual Lure gives back to the St. Louis community. They have two beautiful sons, Benjamin and Colten, and a Miniature Schnauzer named Cabo.